The following is a sample of the books that arrived on the Hesburgh Library’s shelves in the past couple of months. Newly-cataloged books are selectively displayed in the New Book area on the second floor for a few months. This is always noted in the catalog location. Tadhg Ó hIfearnáin and John Walsh, editors. 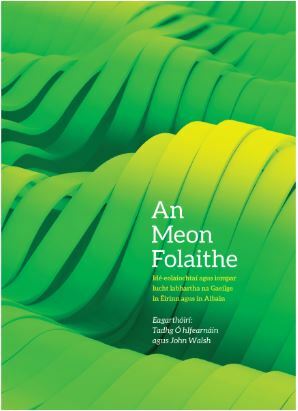 An Meon Folaithe: Idé-Eolaíochtaí agus Iompar Lucht Labhartha na Gaeilge in Éirinn agus in Albain. Cois Life, 2018. P 40.45 .I64 M46 2018 (currently in the New Book Area, second floor). Eamon Maher, editor. The Reimagining Ireland Reader, Examining our Past, Shaping our Future. Peter Lang, 2018. DA 910 .R456 2018 (also online via the catalog).